Our third episode is all about evolutions. In a very rare interview clip (courtesy of Laura Joplin) the late producer, Paul Rothchild, discusses how Janis grew as a vocalist during the sessions. It then concludes with a montage of “Move Over” takes to show how that final track came together. Janis Joplin – The Pearl Sessions. Episode 2 of the Pearlcast features comments by two authors: Her younger sister Laura (Love Janis) and Holly George Warren. Songs from The Pearl Sessions. include “Tell Mama (Live)”, and alternate versions of “Cry Baby” and “My Baby.” Hear the full tracks at Spotify. When Janis Joplin knew what she wanted, there was very little that could stop her from getting it. With her music, she pushed and experimented until it felt just right. Her fourth and final album – Pearl – showed Janis at the top of her game, working hard with a new band and new ways to use her voice. In this four part podcast series you’ll hear about Janis’ final years and the making of Pearl from her sister and author Laura Joplin, road manager John Byrne Cooke, Pearl producer, the late Paul Rothchild and author Holly George Warren. The host is David Gans (KPFA, Grateful Dead Hour). Music includes Pearl classics from the original album, rare studio outtakes and live cuts from the era from the new Legacy Recordings release, The Pearl Sessions. The series concludes with the story of “Army,” featuring its live performance from a 2008 one-off Ben Folds Five reunion show recorded for Myspace. Remember Myspace? “There’s Always Someone Cooler Than You” is one of those sort-of rarities that is actually quite well known. Instead of any official studio album, it came from Sunny 16, a 2003 digital EP that was popular enough to hit #1 on the itunes sales chart. “Rocking the Suburbs” as Ben’s thesis on how much of pop culture comes from the burbs, not the cities. The interesting tale of “Landed” – the smash hit that never was and the big-budget Paul Buckmaster string arrangement. 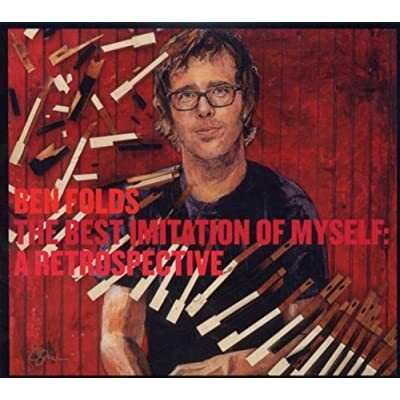 The awesomeness of “Underground,” the breakthrough track from Ben Folds Five’s self-titled debut.